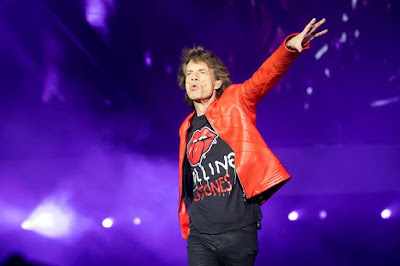 Mick Jagger is sharing his thoughts on The Rolling Stones’ No Filter US tour in a new interview ahead of tickets going on sale this week for the spring 2019 stadium trek. The 13-show series (see dates below) will begin at the Hard Rock Stadium in Miami Gardens, FL on April 20 and hit eleven more cities before wrapping up at Soldier Field in Chicago, IL on June 21. The rock icon explains the difference between performing in the US compared to other territories. “Well, I don’t have to speak foreign languages normally, so that’s a big difference,” says Jagger. “When you tour Europe it’s a lot of languages, so I try to do them all and that takes up some time, so (in the U.S.) I can concentrate on some other things. At 75 years of age, Jagger says he still loves touring. A special No Filter fan presale will begin on Wednesday, November 28 at 10am local time via rollingstones.com, with general public tickets available starting Friday, November 30 at 10am local time.